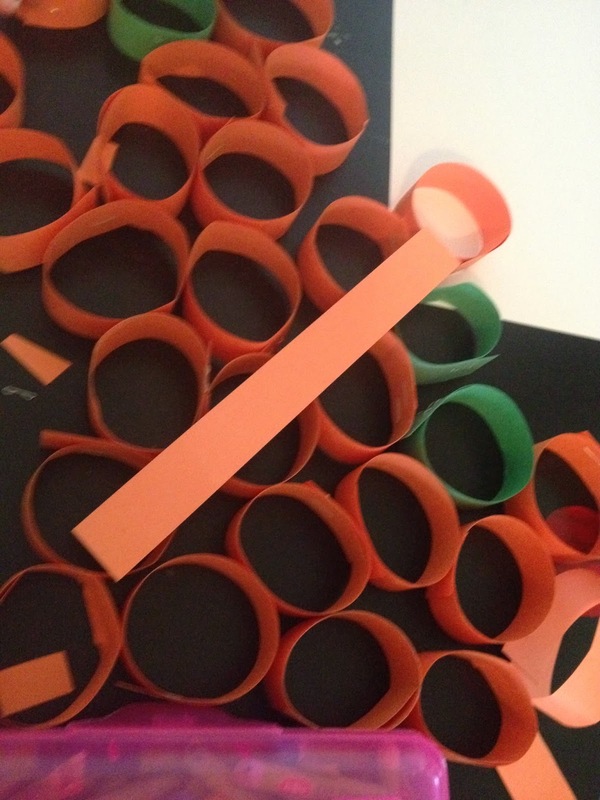 My kids love making paper chains by rolling paper, stapling, and inter-locking the links. 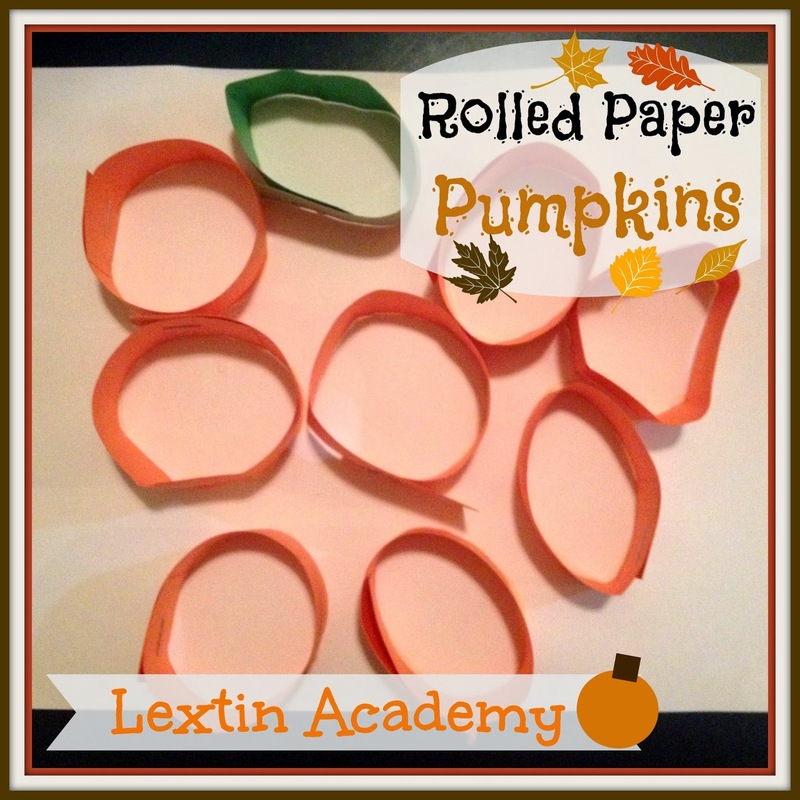 So, I decided to have them put their paper rolling and stapling technique to good use in making some simple pumpkin pictures. I cut the paper into 1-inch strips. The kids rolled each strip into a loop and stapled the ends. They arranged them on their paper and then glued them down. Abstract art pumpkins!